We would like to provide fresh vegetables directly shipped from the farm, not frozen vegetables. 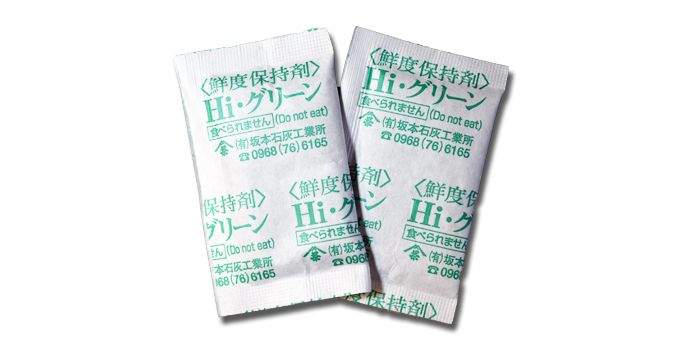 Hi・Green removes ethylene gas which causes freshness degradation, and increases the life of freshness. Also, it is more effective with the use of water absorption sheet and special bags.